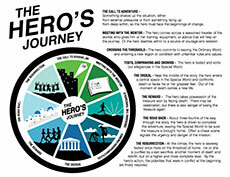 The real heroes of the impossible2Possible Youth Expeditions are the Youth Ambassadors. They not only defy any perceived physical or mental barriers in their own lives, but they truly inspire the thousands of students who follow their every step during an expedition. These Youth Ambassadors will lead positive social action and are therefore ideal role models for today's youth. They are joined by the i2P Expedition Team; a group of passionate individuals that volunteer their time before, during and after expeditions. See links below for details! I was born in Toronto, but moved to Aurora, Ontario at an early age, where I grew up. I have an older sister and a younger brother who are both very close in age to me, so growing up was always filled with fun and games. My parents are very adventurous, so as a family we have road tripped across Canada to both the east and west coast (with absolutely no shortage of my father’s ever so famous “dad jokes”!). This sense of adventure and drive to discover is deeply instilled in me as a result, as is my parents’ passion for helping others. Because of this I spent much of my time growing up involved in sports (especially track and field) and volunteering in my own community and on larger trips. I started studying at McGill University in the fall of 2012. I am now currently in my third year of studies in Cognitive Science (Psychology and Neuroscience) with a minor in International Development. I hope to continue on to a PhD or Master’s in Neuroscience, and then apply my knowledge to social entrepreneurship with a focus on neurological development in the developing world. At McGill I am a Varsity Rower, as well as past president of the Rowing executive committee, so spend much of my time at the gym. I can also be found working as an RA for the McGill Language and Memory lab, attending conferences or baking delicious gluten free goodies in my kitchen. I am also often found napping in various places around campus. Being selected to be a member of the team of ambassadors going to Greece this spring was an unbelievable moment. I am honoured and thrilled for the opportunity to inspire students to face challenges and chase their dreams. I hope that I will be able to show that passion can drive a person forward no matter what else is holding them back. I am humbled to be a part of a program committed to redefining education in order to teach skills that really matter for a student’s future. Thanks i2P, I cannot wait to embark on this journey. 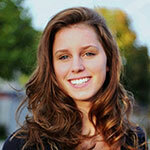 Alana is an 18-year-old multi-sport athlete from Chelsea, Quebec. She was born two months premature in Napa, California. Currently studying at Heritage College in Gatineau, Alana is enrolled in NewMedia and Publication Design and works part-time at Les Saisons coffee shop, the local favourite. From a young age, Alana was immersed in an outdoor athletic lifestyle, growing up skiing, hiking, and running on the trails in the Gatineau Park with her family and friends. She went on to play just about every sport available; cross-country running, cycling, skiing, track and field, sailing, horseback riding, soccer, volleyball, flag-football and rugby. Alana has earned regional medals in track and field for 800m, 1200m and 1500m and competed at provincials. In her senior year at Philemon Wright High School she captained three teams; soccer, flag football and rugby, earning two silver medals in the finals and receiving MVP for all three teams. At graduation, she was awarded both “Female Athlete of the Year” and “Student-Athlete of the Year”. Alana also participated that same year in a running event with her school called Grand-Défi Pierre Lavoie, running a relay from Quebec City to Montreal (250 km). She currently plays rugby on the women’s varsity rugby team at Heritage College and was named to the Quebec Cégep All-Star team for 2014. Alana also competes in cross-country skiing. On skis since the age of two, she has been racing regionally for 13 years, on the Quebec circuit for four years, and participated at three National Championships. 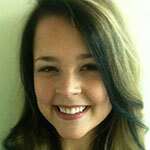 Aside from athletics, Alana has a passion for graphic design/web design, social media and communications. She is super excited to be using interactive web-based experiential learning platforms on the expedition to connect with and educate youth around the world. Alana is very community minded and has enjoyed volunteering with her local cross-country ski, soccer, and sailing clubs, hoping to inspire youth to keep active and involved in sports and athletics. Alana cares deeply about many different causes. Since the age of five she has been sponsoring children overseas, and every year since her 5th birthday has collected donations for various charities instead of receiving gifts from friends. For the past eight years, Alana has organized a Relay For Life team called “Fast ’n Female” to run all night and raise money for the Canadian Cancer Society. Always looking for ways to make a difference in others lives, Alana plans to make a larger contribution to the world. She has a keen sense of adventure and hopes to travel and experience life in other countries. She is thrilled to be part of the i2P Greece team as a Youth Ambassador. Being able to inspire youth to reach beyond their perceived limits while using adventure to educate and empower is an incredible opportunity. My name is Raphael Dury, I’m 19 years old and when it comes to living a normal life, I never stood a chance. To begin, I have five brothers and three sisters, so there are nine of us in total. I’m the fourth eldest, but right around when I was born my parents, (who had begun the adoption process years prior) were told about these twin girls in Vietnam. So we all flew to Vietnam, and with one month of age difference, we became known as the triplets. I started acting at a very young age and I completed my primary education in an English public school. Because of that early exposure to a second language I am completely bilingual, which has been hugely beneficial. I was then homeschooled the following years, making it easier to travel around the globe and work as an actor. Before the homeschooling began, my parents already took all of us on grand adventures. As a result, my family and I have traveled to parts of the world most people will never experience. A few we lived through include: a deluge in the Gobi desert, the Egyptian revolution, and freezing temperatures with 70 mph winds in Iceland. If there’s anything travelling has taught me, it’s that unexpected obstacles will happen, and it’s how you handle them that matters. Growing up, the family house was always full of action, I was very competitive with my brothers, and we would often compete in sports and video games. 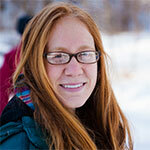 Maike van Niekerk hails from Corner Brook, Newfoundland and has dedicated her life to improving the lives of others. Since the age of fifteen, Maike’s work as an advocate for cancer patients, global health and youth education has enabled her to make change in both her school and community. Maike is extremely well-known for her advocacy, compassion and generosity when it comes to health and her community. Earning the Terry Fox Humanitarian Scholarship through volunteering over 2,000 hours within high school alone, Maike continues to volunteering 25 hours every week for numerous organizations that support cancer patients, global health and youth education, including weekly volunteering at Breast Cancer Action Nova Scotia, The Canadian Cancer Society, The Ronald McDonald House, Oncology Floor Information Services, The Out of the Cold Homeless Shelter, and Marsha Campbell-Yeo’s MOM-LINC research center. With a stellar GPA, Maike uses her extensive knowledge to devote countless hours every week tutoring fellow nursing students, providing free tutorials and comprehensive, well-written notes to classmates. Recently Maike biked 1,100km across Newfoundland to raise funds for an organization she created in her mother’s memory, Katrin’s Karepackage. Raising over $35,000, Katrin’s Karepackage provides funding for free transportation to receive cancer radiations in Newfoundland. Maike has combined her leadership and athletic skills by recently acting as team captain for the Run for the Cure, Terry Fox Run, and Blue Nose Marathon. As an i2P Youth Ambassador for the upcoming Expedition Greece, Maike is excited to challenge herself again physically and use the expedition as an opportunity to spread her passion for education and empowering youth around the world. I grew up on a Ranch outside Medicine Hat, Alberta, with my Mom, Dad, and younger sister. My family is extremely close and we have always loved being outside, being active and doing things together. I believe this has made me a harder worker, increased my appreciation for the closeness of my family and community, my love for the outdoors, and trying new things. I am currently enrolled at the University of Calgary in Biological Sciences majoring in Zoology, with hopes of becoming a veterinarian. I have always had a great compassion for animals and have worked with them all my life. Sports are also a fundamental part of my life, and I have been involved in athletics from little league soccer and parent pitch baseball up till now as I follow my passion for running as part of the University of Calgary Varsity Team for track & field and cross country. Athletics has taught me the value of mental toughness, determination, and teamwork as well as resilience. I am super excited to be a part of Team Greece and to have the opportunity to work with such an inspiring group of individuals! I’m extremely grateful for the chance to push my self outside my comfort zone, test my limits, learn about an ancient history and culture first hand, and inspire others to do the same! In 2006/7, Ray and two other runners ran the entire width of the Sahara Desert-7500 kms (4600 miles) in 111 days with no rest days-and in the process learned of the seriousness of the water crisis in Africa. The run was documented in a film directed by Oscar winner James Moll and narrated by Matt Damon. One of the goals of the film is to raise awareness for the water crisis in Africa. Ray is an established ultra marathoner and speaker who uses his athletic career to support intiatives and causes he believes in. Ray is official Athletic Ambassador for the ONEXONE organization and is a board member of the Ryan's Well Foundation. Ray has completed 8 major expeditions to date and was recently a member of the South Pole Quest, the Siberian Express teams and in early 2011 ran the length of the Atacama Desert. He recently crossed the Gobi Desert and is the host of The Project and To The Edge TV series. He is the founder of impossible2Possible. Visit RayZahab.com. Bob Cox is the Executive Director of impossible2Possible. He has been in athletics all of his life (a lifelong surfer with nearly 10 years in the surf industry) and has recently found his stride in endurance endeavors such as the Canada OnexOne, the Oceanside 70.3 Triathlon, multiple 50k's, and the San Francisco 24hour footrace race with a top ten finish. He spent much of his youth surfing in the Pacific Ocean and from those experiences his passion for our big blue planet was formed. Bob earned a Bachelor of Arts Degree in Political Science with an emphasis on Public Policy from California State University, Northridge. His appreciation for clean drinking water grew from his profession as a potable and recycled water Cross Connection Specialist in California. In October 2007, Bob met Ray at a Livestrong event in Texas and from that moment he knew his life had changed. From that day forward the two men have dedicated their lives to the message and ideals of i2P. 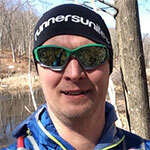 Derrick is a trail, mountain, snowshoe and ultra marathon runner. He has been running competitively for over 30 years, including the past 22 years without missing a day of running. 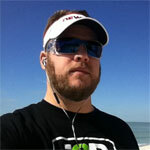 Derrick has competed in distances from 800 meters on the track up to 100-mile trail races and multi-day stage races. His current passion is the 100-mile distance. He has a number of podium finishes to his credit including wins at the Haliburton Forest 100 mile, Finger Lakes 50 mile and Seaton Trail 52 km. Derrick's enthusiasm for running is also evident by his work with runners of all levels. 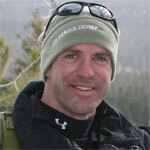 As owner of Spafford Health and Adventure (www.HealthandAdventure.com), Derrick gets to pass on his knowledge not only to his coaching clients, but also through writing for various publications, organizing trail and snowshoe races, and through the promotion and sales within the sport of snowshoe running. Having coached runners in the past at the high school and club level, Derrick is especially looking forward to working with i2P Youth Ambassadors in the future. Kathy is an Environmental Advisor with a Crown Corporation of the Canadian government whose responsibilities include reviewing environmental and social documentation, benchmarking against international standards. Additional duties include risk reviews and monitoring of international projects. Kathy takes an active role in defining the relationships of i2P's many partners as it pertains to corporate social responsibility policies and initiatives. An experienced ultra marathoner, Kathy has participated in 2 of the i2P Youth Expeditions as both a mentor and coordinator. Kathy also continues to pursue her own athletic goals, with planned running expeditions in the future. 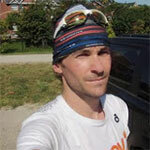 Jay is the Ombudsperson at Simon Fraser University (SFU) in Vancouver, BC and a seasoned ultramarathoner. Jay started running 8 years ago to get fit. Running has since become a passion and he has competed in marathons and ultramarathons all over the world. Jay is driven to use running to help others and make a difference in the world. Inspired by a friend's granddaughter who has cystic fibrosis Jay formed Team Trailwinders along with fellow ultra runners Lara Rintoul and Marc Bremner. 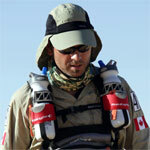 In 2009 the team competed in the 250km Sahara Race and raised thousands for Variety Children's Charities. Passionate about our youth programs, Jay has been coordinating the relationship between i2P and SFU. Lara has been active her entire life. 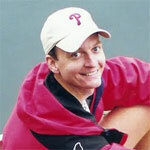 Over the years she has participated in several marathons and ultra- marathons. 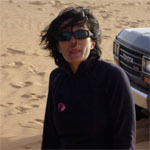 In 2009 she completed the 250 km Sahara Race, with fellow team-mates, Jay Solman and Marc Bremner. In an effort to motivate and inspire the community they hosted several events, which raised over $8,000 for Variety Club. She continues to be involved with organizations such as Variety Club and KidSport. However, being the mother of two teens her main dedication and focus is teen health and wellness. She takes every opportunity to encourage others to live beyond their boundaries. 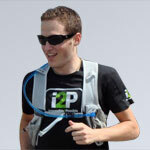 Jean-Philippe Turgeon is developing the francophone wing of i2P. He brings with him over 20 years of experience in the entertainment industry as a manager to many high profile artists, and an established reputation as an event and television producer in Quebec. Jean-Philippe is also a devoted father, a spirited adventurer and a disciplined triathlete. He launched his amateur athletic career in 2012 when - in the span of that first year - he ran two half marathons and obtained the “Trifecta” medal for completing the three distances of Spartan races. He will compete this coming June in the Tremblant Ironman 70.3. His desire to challenge himself and inspire others to reach for their dreams is also in line with the pedagogical approach he takes as a professor at the École nationale de l’humour de Montréal where he teaches career management. Jean-Philippe will be developing i2P for French speaking students in Quebec and around the world. For him, developing the francophone wing is a mission to make the incredible work of i2P accessible to as many young people as possible, regardless of the language they speak. Melanie is a passionate and dedicated ultra-runner. 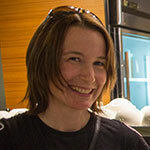 She first heard of i2P when friends coaxed her in attending a fundraiser in Spring of 2014. Having just sold her shares in two companies she owned and co-created, she was left with lots of time on her hands and a desire to find new volunteering opportunities. Melanie firmly believes that nothing happens by chance and that her meeting Ray at that same moment was a clear sign! She eagerly joined the i2P Team as race director for the i2P Run and is looking forward to joining the logistics team on youth expeditions, confident that her strong people and organizational skills will be an asset to the team. Judith Stuhrenberg was born in Paris, and graduated with degrees in history and geography from La Sorbonne. After finishing her formal education, she became an agent for some of the world's top photographers. Evenually she began to travel to the Sahara, where she has been working now for almost 20 years, organizing photo and film shoots, scientific expeditions, rallies, and reports for many of the world's top media outlets. She speaks French, English, German, and Spanish. When not traveling, she lives with her family in Paris. Judith helped to organize logistics for the Running Tunisia expedition and is now excited to be helping again for the i2P Expedition to India. 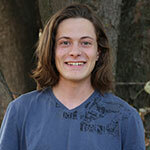 Zachary Shields is an Independent filmmaker based in Indianapolis, IN and Washington, DC. He is currently the owner of Nischan Pictures Inc. (www.nischanpictures.com) His passion is to be in the field shooting stories as they unfold. 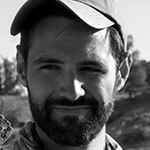 Zachary has covered the Indonesian and Haitian earthquake zones, i2P Bolivia and Utah expeditions, as well as untouched Alaskan rivers to tell stories of the power of nature and the outdoors. Most recently his short documentary, Awful Grace, was an official selection at the Indianapolis International Film Festival. Zachary won a Webby Award in 2006 for an innovative web documentary covering the untold stories of the devastating 2004 tsunami in Southeast Asia. When he's not in a hospital having tendons reconnected, he sometimes flies helicopters with cameras on them. Zach is the Director of Production of To The Edge. 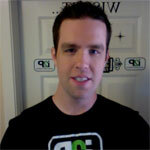 Chris currently works for a video production/marketing company based in Indianapolis, IN. His passions are traveling and storytelling. 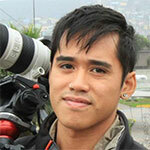 He has shot video across the world including Malaysia, Dubai, and Peru. 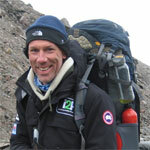 Chris had the privilege of being a part of the expedition team for Impossible2Possible: Bolivia. When he's not traveling Chris can be found either playing soccer or eating peanut butter like an addict. Warning: don't let the tattoos and piercings fool you... they are fake. Hannah was a member of the youth team during expedition Botswana in 2012. 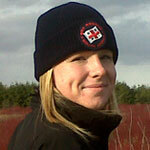 In 2013 Hannah joined the I2P team again as a member of the logistics team on expedition Peru. Hannah is currently serving as a Police Officer and enjoys being an active member of her community. In her free time Hannah Enjoys running, hiking, and being outdoors. As an I2P alumni she has been able to share the mission and values of I2P with youth and school aged children throughout Ontario. Megan Bureau was born in Toronto, Canada. She has lived in Calgary, Alberta and Kuala Lumpur, Malaysia and currently lives in Oakville, Ontario. During her time in Malaysia she attended conferences that focused on global issues including access to fresh water, and women’s issues. In earlier months of her grade 6 year, Megan journeyed to Jakarta, Indonesia for an ISTA Drama Festival and to a GIN (Global Issues Network) Conference. She participated in and spoke at GINsanity, a Global Issues Conference focused on water scarcity. At only 12 years old, Megan spoke at an International Women’s Day Conference at the University of Malaya where she was the youngest speaker to participate. Megan was also invited to participate in a International Youth Leaders (IYLA) Summit in New York at the UN, again one of the youngest participants. As a result of her world travels and participation in these conferences, Megan has developed a strong passion for global issues and aiding those in need. As a part of her school 'Service Council’, Megan raised money for an orphanage in Malawi and packed shoe boxes for Operation Christmas Child, a charity run out of Samaritan’s Purse. While participating in the GINsanity conference, Megan raised money with her school in Kuala Lumpur to build water wells in South Sudan, Africa and has since continued her research with Non – Governmental Organizations and global issues. 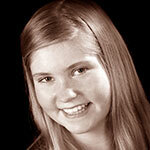 Megan also plays competitive basketball and participates in all school sports teams. 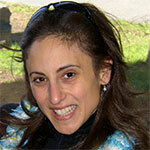 Adriana Rossi has been passionate about developing Leadership in youth for 20 years. She has worked extensively in both the private and public secondary school system initiating programs such as the Duke of Edinburgh Award and outdoor education and leadership programs. Adriana holds a Masters of Arts in Leadership and Training from Royal Roads University in British Columbia and a Bachelors Degree in Physical Education from McGill University in Montreal. In addition she is the president of Leadership Ventures which focuses on sustainable leadership development within organizations. 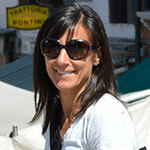 She is an avid outdoor enthusiast, triathlete and enjoys spending time with her family. 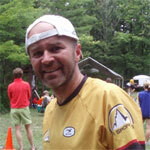 Ewan brings the combined skills of physician, administrator and ultra runner to the i2P team. A graduate of the McGill School of Medicine, and Dalhousie University where he studied history, he has worked and lived in Northern Canada since 1992. He is the long serving Medical Director of the Yellowknife Health and Social Services Authority and Clinical Director of Family Medicine at Stanton Territorial Hospital. He has conceived designed and implemented numerous successful Health Information Technology projects. He maintains an active clinical practice, providing both hospital based and remote community services. He is passionate about designing sustainable health services for remote northern communities. Ewan has been running for many years, and much prefers to run on snow than on asphalt. He served as the Medical Director for the 2008 Arctic Winter Games, and volunteered as a physician at the Vancouver Olympics. He has won 2 northern ultra marathons. Based on his commitment to physical fitness he was one of 20 Canadian physicians selected by the Canadian Medical Association to carry the Olympic Torch. He is married and has 2 children who share his passion for sport. 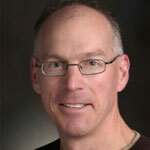 George is a faculty member at Simon Fraser University in the Department of Chemistry. He is currently serving the SFU community in an additional role as Associate Dean of Graduate Studies where he is a member of a team responsible for oversight in the training experiences for over 4,500 students in the graduate program. Graduate students working in his research laboratory are engaged in technology development and applications of soft ionization mass spectrometry, and chemistry in container-less environments using levitation techniques. An application of the latter is particulate air pollution where they are developing the capacity to quantitatively learn what lung tissue inflammation occurs as a function of the chemistry of mimics of tropospheric particles that are created in the laboratory. 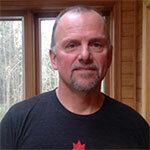 Beyond his passion for alpine skiing, windsurfing, and cycling up Burnaby Mountain to SFU every day, George can also be found coaching one or more of the hockey and lacrosse teams that his boys play on. George and Jay Solman are exploring varied training opportunities for university students with the objective of developing a synergistic collaboration with i2P. 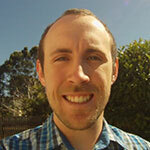 Matt, an outdoor enthusiast is a husband and father of two adventurous young children. He is a passionate educator who has worked in public education for the past 10 years. After receiving his B.A. in Sociology with an emphasis in criminology and law, he earned his Masters in Education from the University of Minnesota. A lifelong resident of Stillwater, Minnesota, Matt currently works as an information savvy technology coordinator and strives to help teachers develop strategies to work with our digital generation. Several years of a 1:1 learning environment has allowed Matt to develop an understanding of key learning theories and methods of instruction within educational technology. As a technology advocate, Matt has had the opportunity to present on a local and state level as well as to visitors from around the world. In 2009, Matt was selected as an Apple Distinguished Educator which has allowed him to further his role as an author, advisor, ambassador and advocate of technology through experiential learning opportunities on a global platform. Matt continues to engage learners on their path to the possibilities of being a part of the next big thing! 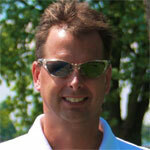 Brad is an experienced Human Resources Executive with one of the largest companies in Canada. He has an extensive background in Board of Director management, talent and organizational development and cultural change management. Brad enjoys all of the time he can get outdoors with his wife and two wonderful kids. As a lifelong athlete he has played elite hockey, baseball and is an avid participant in Ironman 70.3 and other endurance events. Brad has a passion for youth development. As an educator at the university level, working with i2P and the Duke of Edinburgh leadership award program he is fortunate to be able to help youth expand their horizons and reach their potential. He has earned an Executive Masters in Business Administration from the University of Ottawa, a Bachelor of Commerce (Honours) Degree from the University of Manitoba and a Human Resources and Compensation Committee Certification from The Directors College and McMaster University. Jill is still riding the wave of positive energy and enthusiasm after being a youth ambassador for Running Tunisia 2010. On the trip she was inspired by all of her incredible teammates and learned that if you want to make a difference the hardest part is taking the first step. Since the expedition she has opted out of the idea of the 'first step' and instead jumped head first into initiatives that she feels passionate about. An avid outdoor enthusiast, she enjoys any activity that involves breathing fresh air and hopes to try out adventure racing and ultra running when she is finished speed skating. Along with continuing her studies in kinesiology and psychology, and continuing to pursue her goals in short track, Jill is excited to take on this new role with i2P! Emma Morley is a 22-year old Brigham Young University graduate who recently earned a bachelor's degree in neuroscience. With long-term plans to end up researching the mysteries of the brain, her Plan B is to dream that she is a National Geographic adventure photographer. Emma hails from Minnesota where she grew up making blanket forts, pretending to be a professional classical pianist, and creating every possible Klutz craft. A runner and Nordic skier in high school, Emma continues her active lifestyle by seeking out exploration of all forms from biking to rock climbing, skiing to backpacking. She found the perfect outlet for her passion for challenge and adventure in impossible2Possible, which aims to educate, inspire, and empower our global community to make positive change in the world and encourage youth to reach beyond their perceived limits. Emma became a Youth Ambassador for the 2013 Utah expedition, and after experiencing this life-changing adventure she committed to staying involved with i2P as a supportive member of the Youth Ambassador alumni. 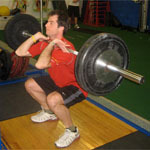 John is a Certified Strength and Conditioning Specialist through the National Strength and Conditioning Association and a Certified Personal Trainer through the Canadian Society for Exercise Physiology. He has worked full time in the strength and conditioning field for over ten years, and has had the opportunity to work with athletes from a broad spectrum of sports, including those competing and performing at the national and professional levels. Recent career highlights include the development of strength and conditioning programs, which assisted two Canadian athletes to qualify and compete at the Beijing 2008 Olympic Games. John has developed his training philosophy to provide targeted training for each individual's needs - based on a foundation of stability and control, functional movement, and balanced strength while progressing towards performance goals. John organizes the training programs for the Youth Ambassadors. 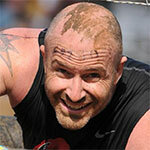 For almost half of his lifetime John has trained for and has competed in a variety of disciplines of endurance sport. Some areas where he has pushed his endurance limits include: Triathlon (Olympic Distance to Ironman Distance), Bike Racing (Road), Adventure Racing, and Trail Running. Mike Stashin is a distance runner based in Ottawa Canada who has used running as a gateway for adventures that have included races along the Great Wall of China, at the North Pole and in the Sahara Desert. Mike's passion has been teaching runners how to incorporate efficient running technique to reduce the amount of effort, chance of injury and recovery time. Mentally runners benefit knowing they can rely on their technique rather than brute strength when facing and overcoming challenging distances. Lieutenant Colonel John Toth is a former United States Army Infantry Officer with over 21 years experience leading soldiers in challenging situations around the globe. During his career, John served tours in South Korea and Egypt, and was deployed to combat in Iraq. His assignments included the 82nd and 101st Airborne Divisions as well as the Pentagon. He is a graduate of the rigorous U.S. Army Ranger School and is a Master Parachutist and Pathfinder. An expert trainer and mentor, he recently completed his final assignment as the Professor of Military Science at the University of Colorado at Boulder where he was responsible for training future officers for the Army. He holds a Masters degree from the prestigious School of Advanced Military Studies (SAMS) at Fort Leavenworth, Kansas. A devoted husband and proud father of two boys, he resides in Boulder, Colorado where he can share his passion for cycling, the outdoors, and world traveling with his family. LTC Toth is currently the Senior Director for Veterans Programs at Veterans Green Jobs, a Denver, CO based non-profit dedicated to helping post 9-11 veterans find meaningful jobs in the green sector. Kent works in business programming in the public sector, and has an educational background in Environmental Studies and an MBA. 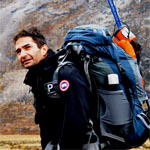 As a runner, he was inspired by Ray Zahab’s expeditions. As a proud father of 2 amazing kids, he hopes his kids will someday be lucky enough to be part of something as amazing as i2P. From the time he first read about the organization, Kent knew he wanted to be a part of it. Too old to be an ambassador, he feels fortunate to play a role as a volunteer on the team. Kent grew up playing in the outdoors, and still spends as much time as he can running and riding bikes. He is currently focused on the ultra running world with races up to 50 Miles under his belt, and dreams of 100 milers pacing through his mind. He brings business and project management experience to the team and loves the opportunity to contribute and learn a lot along the way. Steph Gaudreau combines twelve years of science teaching experience, a certificate in holistic nutrition, and an unabashed love of tasty Paleo food on her blog, Stupid Easy Paleo. Steph went Paleo in 2010, and it didn’t take long for her to decide that she was never turning back. 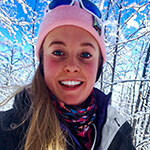 Eating clean, nutrient-dense foods has fueled her both in life and as a competitive athlete. Steph’s mission is to spread the word about how to make simple, tasty recipes to help people in their quests to just eat real food. 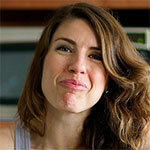 She authored ”The Paleo Athlete: A Beginner’s Guide to Real Food for Performance” in 2014. Saskia grew up spending her spare time outdoors in Port Moody, a suburb of Vancouver, where she learned to love athletics and became passionate about environmental issues. 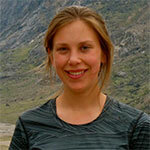 She enjoys backpacking, soccer, biking, and, of course, running. Becoming an i2P Youth Ambassador for Expedition Botswana in 2012 was one of the most transformative experiences of her life. It continues to inspire her to live up to i2P values by pushing herself for meaningful causes. Last summer, Saskia biked 1,700 from Vancouver to Inuvik holding youth leadership workshops and raising awareness about climate change in the Arctic. She is currently studying International Economics at the University of British Columbia and hopes to work in environmental policy. Mick was a youth ambassador on Expedition Peru 2013 and has remained involved with i2P behind the scenes work, particularly Social Media engagement. Residing in Australia, Mick is completing his Bachelor of Social Science whilst coaching several local club and high school Cross Country & Athletics Teams. i2P has inspired Mick to continue competing on the track, roads and trails, with a simple goal to continue to always embrace running, adventure and learning as tools to explore the world with positive footsteps. Inspired by a motivational speech Ray Zahab gave to his team nearly 12yrs ago. Rays story stuck in Ronnie's mind for way too long, and he felt he had to action it. 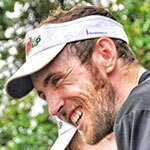 Now an avid runner who took it up in his early 30's Ronnie has embraced the ultramarathon scene. Originally from New Waterford, Cape Breton, Ronnie has lived in Ottawa for just short of 15yrs now with his charming wife Tabitha. A former school teacher, turned Senior Product Manager for IBM's Business Analytics division he gets to geek out all day with cool software. Ronnie has 5 degrees and 2 diplomas, and really quite likes school as he keeps looking for new degrees to pursue. Ronnie joined i2P last year as a keen observer, this year he is helping to redefine the online presence. His goal in i2P is to see the program continue to grow and succeed by doing what ever needs to get done. In 2006/7, Ray and two other runners ran the entire width of the Sahara Desert-7500 kms (4600 miles) in 111 days with no rest days-and in the process learned of the seriousness of the water crisis in Africa. The run was documented in a film directed by Oscar winner James Moll and narrated by Matt Damon. One of the goals of the film is to raise awareness for the water crisis in Africa. 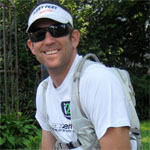 Ray is an established ultra marathoner and speaker who uses his athletic career to support intiatives and causes he believes in. Ray is official Athletic Ambassador for the ONEXONE organization and is a board member of the Ryan's Well Foundation. Ray has completed 8 major expeditions to date and was recently a member of the South Pole Quest, the Siberian Express teams and in early 2011 ran the length of the Atacama Desert. He is the founder of impossible2Possible. Visit RayZahab.com. Bob Cox has been in athletics all of his life (a lifelong surfer with nearly 10 years in the surf industry) and has recently found his stride in endurance endeavors such as the Canada OnexOne, the Oceanside 70.3 Triathlon, multiple 50k's, and the San Francisco 24hour footrace race with a top ten finish. He spent much of his youth surfing in the Pacific Ocean and from those experiences his passion for our big blue planet was formed. Bob earned a Bachelor of Arts Degree in Political Science with an emphasis on Public Policy from California State University, Northridge. His appreciation for clean drinking water grew from his profession as a potable and recycled water Cross Connection Specialist in California. In October 2007, Bob met Ray at a Livestrong event in Texas and from that moment he knew his life had changed. From that day forward the two men have dedicated their lives to the message and ideals of i2P. "Tell me and I'll forget; show me and I may remember; involve me and I'll understand." Jordan is a graduate of the University of Ottawa with an Honours Bachelor of Science in Human Kinetics and a Baccalaureate in Education. His interests are in adventure, physical activity and youth empowerment. Some of his favourite sports include long-distance running, hockey and snowboarding. He also has a creative side with interests in multimedia technology, graphic arts and social media platforms such as Facebook, Twitter and Skype. Very proud and honoured to be recognized as an i2P Inspirational Ambassador, Jordan believes that if we hope to inspire and educate our youth, we must involve them in the process. As an educator, Jordan finds it absolutely necessary to share with the youth that they all have the potential to do whatever they want to in life. Nothing in the world is more rewarding than helping a child reach and overcome their own barriers, achieving their own impossible in life. A graduate of the University of Ottawa (B.Com, 2007) and Queen's University (MBA, 2010), Todd helps deliver i2P's message to the forefront as our Digital Communication Coordinator. Todd is a marketing, communications, branding, and business strategy specialist with experience in the non-profit and environmental/sustainability sectors, as well as an avid outdoor enthusiast, athlete, and dedicated volunteer. He believes that, with positivity, tenacity and enthusiasm, we are all capable of achieving anything that we set our minds to. Heather has been working as Ray's assistant for the last two years, an adventure in itself that has brought to light so many amazing life lessons and personal moments of inspiration. Getting the opportunity to now join the logistics team and work front lines on expedition planning is such an honor and thrill! Heather left a 10 year career in high tech business development 9 years ago to raise her children, photograph life, volunteer and pursue happiness. She is the first to say 'I believe I am achieving it!' Heather has been involved with youth programs for the last 7 years, most recently as the Chair of the Board of Directors for the Osgoode Youth Association and currently as the Race Director of the organization's biggest fundraising run, The 'Goode Run. Also as a volunteer, she regularly leads youth-focused learn to run programs in her rural community and thrives on helping and seeing young people succeed at something they might have thought impossible and being there for the moment when they come to realize their own amazing abilities! 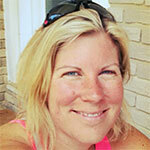 Heather's greatest passions are family, photography, running and now being part of the i2P team! "I really truly believe that life is all about the journey! It molds every part of who we are. I try my best to make mine a happy one!" Transamerica, the Transamerica Pyramid, Transform Tomorrow, Real Moments and Tomorrow Makers are registered service marks of Transamerica Corporation.